BarnDoor Lighting is happy to help our customers find the right field production video monitors for their unique needs. 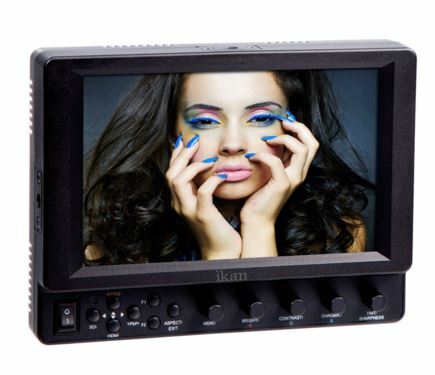 These are user-friendly monitors with advanced electronic features and high-resolution displays for on-set or on-location shooting. We offer high-performance F&V video monitors and Ikan video monitors as well as stand adapters and mounts by these top manufacturers. 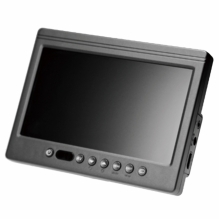 Choose from portable LCD video monitors, HDMI video monitors and more in this selection. Many of these products come with everything you need to get setup fast, including AC adapters, battery plates and cold shoe mounts. Some also include handy add-ons such as sun hoods and sun visors. BarnDoor Lighting has been selling quality film production equipment since 1995, and we're more than equipped to help you make the right purchase for your specific needs. Reach out to us anytime at 1-888-276-3667 or info@barndoorlighting.com with your questions or concerns.